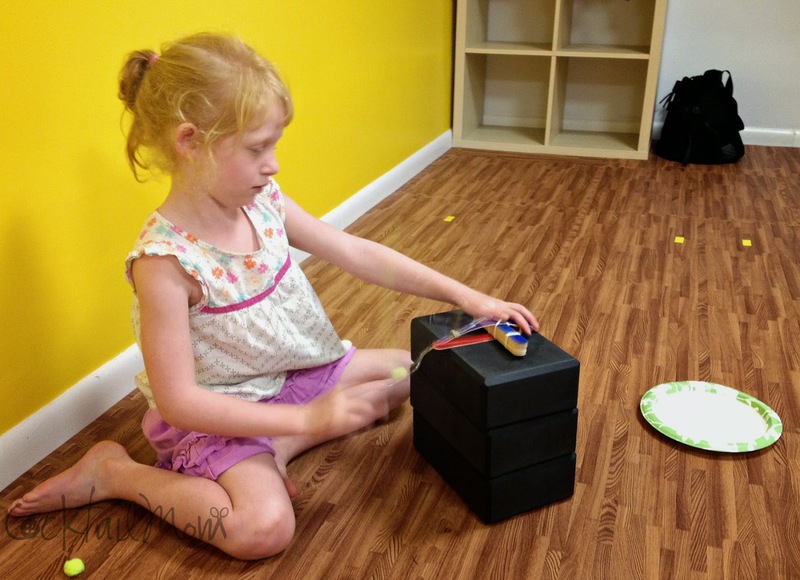 Kids love to throw things, they love to see objects fly through the air. 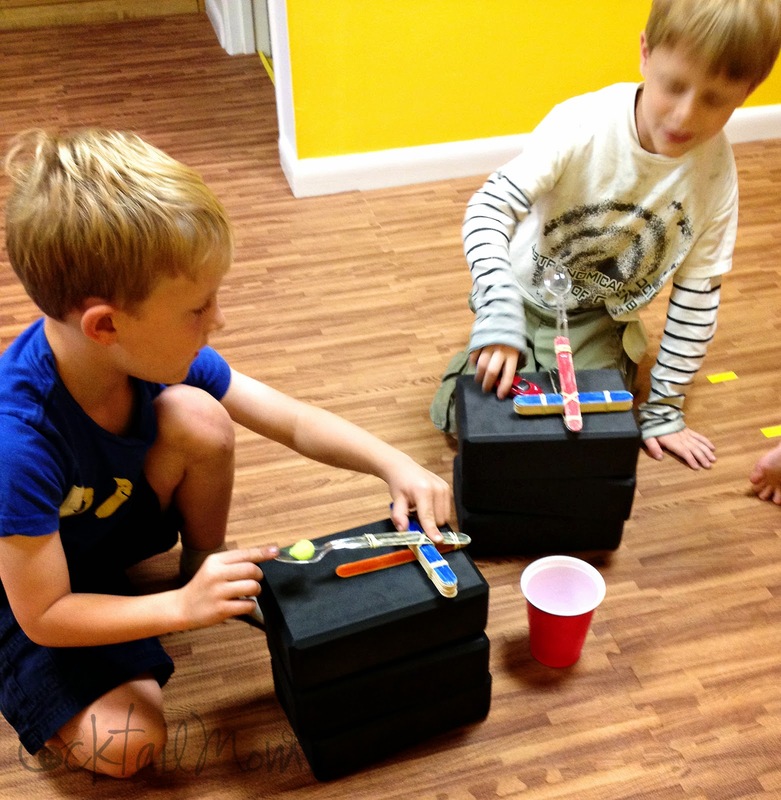 I took their love of flight and combined it with a craft, making a catapult! craft sticks, rubber bands, plastic spoons and craft pom poms. First we stacked 10 large craft sticks on top of each other and secured them together using rubber bands on each end. Then we put a craft stick on the bottom and on the top in the shape of a V and secured with a rubber band at the tip. Then in the center of the stick making an X with the rubber bands, attaching it to the 10 craft sticks. 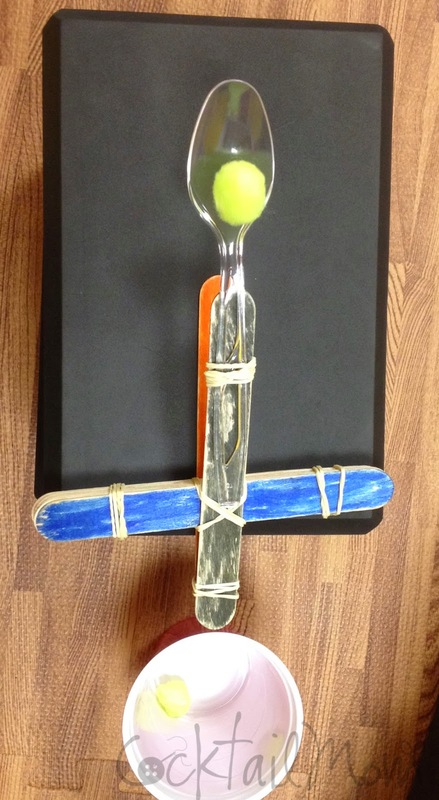 The final step is using a rubber band to secure the spoon to one of the V shaped sticks. As you can see the kids colored the sticks with markers making each catapult unique. We set up targets; a paper plate, a bowl and a plastic cup. Then we tested various heights using yoga blocks. First predicting the outcome and then determining what we can do differently to get the outcome that we wanted. It was a lot of fun and just a wee bit educational…but the kids barely noticed that!